Winston Churchill by Ivor Roberts-Jones, Bronze , No 6 from Edition of 6, Portraits , Celebrity , Politics sculpture. 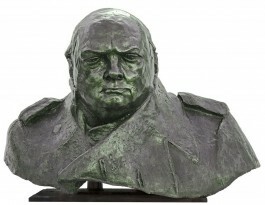 Bronze edition of 6 cast directly from the plaster taken from the statue of Sir Winston Churchill in Parliament Square. 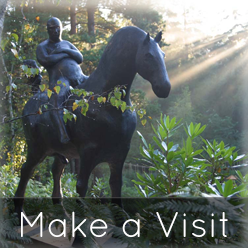 The casting process supervised by the sculptor Nigel Boonham FRBS, Past President of the Society of Portrait Sculptors, on behalf of the Trustees of the Ivor Robert-Jones Estate. After the full-length statue of Winston Churchill was unveiled in 1973 it ‘provided a much needed breakthrough in post-war portraiture’, subsequently the sculpture has correctly achieved iconic status. In 1987 the statue appeared in party political broadcasts for the Conservative party, thanks to Mrs Thatcher’s passionate respect for and identification with Churchill. It later featured in Simon Schama’s award winning History of Modern Britain. Conceivably the pinnacle of the statues prestige within the British imagination came on 27th July 2012, when it was prominently included in the ‘Happy and Glorious’ segment of Danny Boyle’s Isle of Wonder film, shown during the opening ceremony of the London Olympics. In 1995 Ivor Robert-Jones was appointed by the Czech government to make another cast of the Churchill figure to stand in the recently renamed Winston Churchill Square in Prague. Ivor responded that his original mould for his figure in Parliament Square had degenerated and he doubted very much whether Parliament would permit him to make a cast from the statue himself. He did sculpt a clay maquette for a new Churchill head, but unfortunately died soon after sending it to the Meridian foundry. Following further negotiation, his widow, Monica Robert-Jones gave her consent for a duplicate to be made of the statue in Parliament Square, rather influenced by the detail that this suggestion had the backing of Lady Thatcher and the Czech President Vaclav Havel. 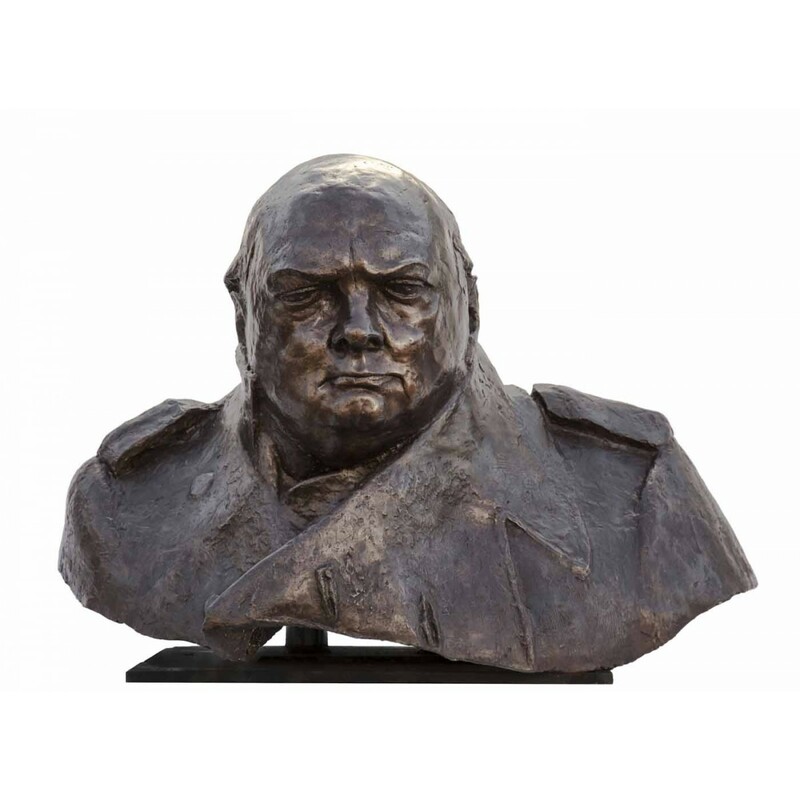 With the British Foreign Office and the Royal Parks Agency also giving the venture their approval, permission was given and an upcoming portrait sculptor, Nigel Boonham was assigned the job of overseeing the creation of a cast from the Churchill statue in Parliament Square. It is from the plaster cast of the head and shoulders made at this time that this bronze was cast. 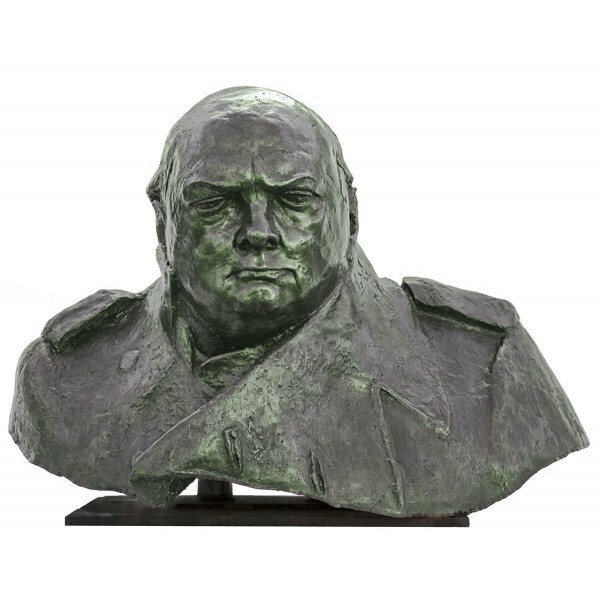 The Trustees of the Ivor Robert-Jones estate have kindly given consent for a limited edition of only 6 bronze casts to be made from the plaster of the head and shoulders of the Churchill figure. No other casts will be authorised so this is a unique chance to acquire a permanent sculpture of Churchill, voted as the greatest ever Briton.